Pretty much describes me, only I wish I had 50% less fat. Yes, I'm a snacker and once I got my hands on these, I ripped open the bag and began munching. 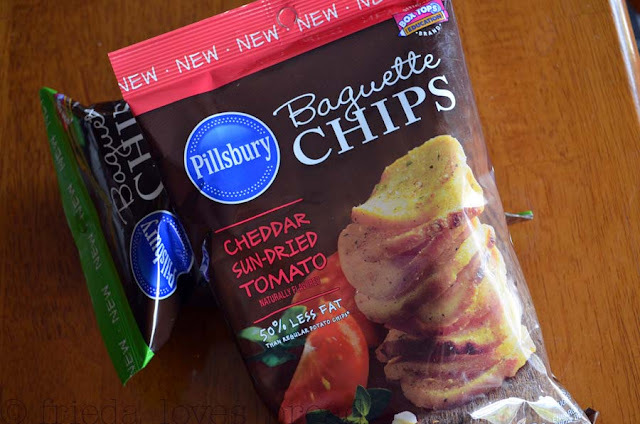 I loved the flavor of Cheddar Sundried Tomato more than the Italian Cheese Herb. The flavors are not overpowering and they don't leave orange dust on your fingers. They make the perfect croutons for a cold, crisp summer salad. I like the flat, round shape of these chips over the traditional cubed croutons. You can try them in soup or munch on them alone. These chips are only 130 calories per 21 chips (which are about the size of a quarter). 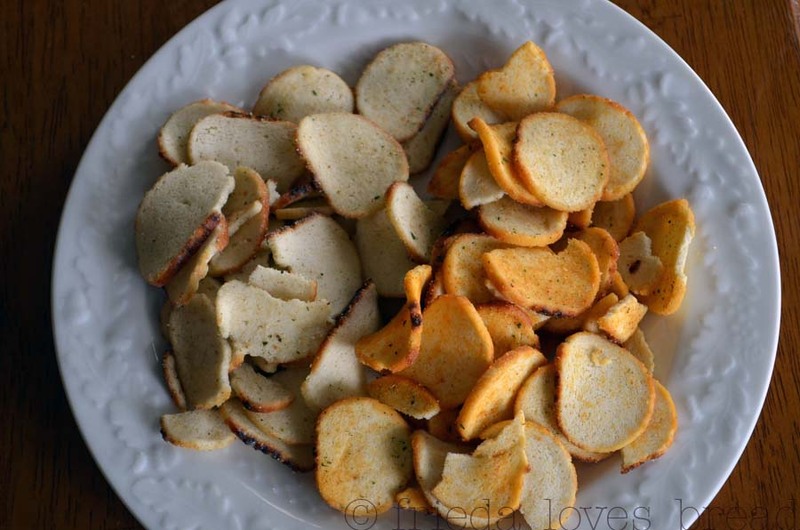 50% less fat than traditional potato chips make these a great alternative for snacking. Yes, that's SIX bags total .... Good luck! The product, gift pack, information, and and samples have been provided by General Mills through MyBlogSpark. Giveaway ends July 25, 2012 and one winner will be selected by Random.org. I make a salad with red leaf lettuce, shredded carrots, toasted pecans, crumbled feta, and dried cranberries, tossed with a balsamic vinagerette. OH YUM!!! 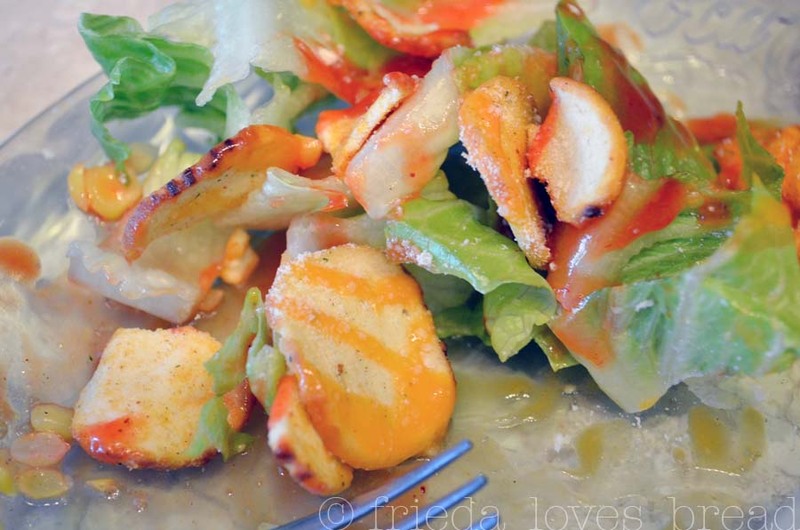 I am eating a salad for dinner right now of mushrooms sauteed in olive oil and garlic. I put them straight from the pan over spinach leaves and sprinkle with goat cheese crumbles. I let everything sit for a few minutes then stir and the goat cheese melts, the spinach wilts a tiny bit and I have a hearty dinner salad! These chips would taste YUMMY in my salad right now! I love romaine with tomatoes, cucumbers, peas and sunflower seeds with creamy poppy seed dressing. I love a good chopped salad! i like a simple salad of lettuce, tomatoes and cukes right from my garden. I love salad in the summer and my biggest favorite is spinach salad. I love the earthy texture. I love a simple salad especially when the garden veggies come in...lettuce, tomatoes, cucumbers, cheese, bacon, croutons, and ranch dressing. Garden salad with tomatoes, cucumbers, onion, green peppers, radisheswith a good blue cheese or Italian with french fried onions. Strawberry, Blue Cheese & Chicken (sometimes with walnuts) on top of Mesclun Salad Greens with a raspberry vinaigrette. Simple but delish. Strawberries, Blue Cheese, & Chicken (sometimes with walnuts) on top of mesclun salad greens with a raspberry vinaigrette. So simple but so delish.